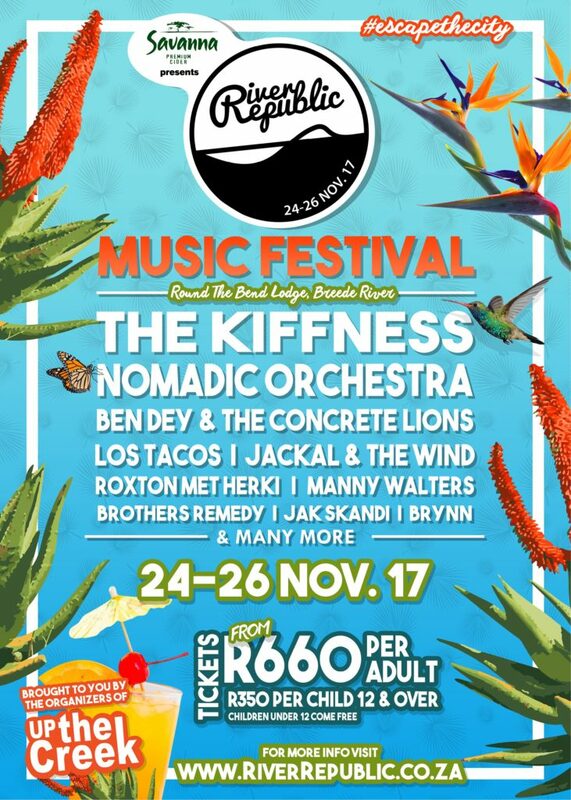 The Kiffness, Nomadic Orchestra, Ben Dey & the Concrete Lions, Sean Koch Trio, BRYNN, Brothers Remedy, Bam Bam Brown, Dave Knowles, Hans Zen, Jackal & The Wind, Jak Skandi, Koisan, Los Tacos, Lt. Fizzer, Manny Walters, Mobbing Bali, MT Seas, Roxton met Herki, Astra Funk & The Space Cats, Money for Bali & Well Done Sun. To keep the good times rolling, we are also bringing you some live comedy over the weekend: Anne Hirsch is your MC on Saturday and comedian Kagiso Mokagadi will be providing us with good laughs. Previous articleReminiscing Endless Daze 2017, the perfect festival in our hearts!